Albariza, for wine lovers: If you are a wine lover, you probably already know a few things about albariza soil. 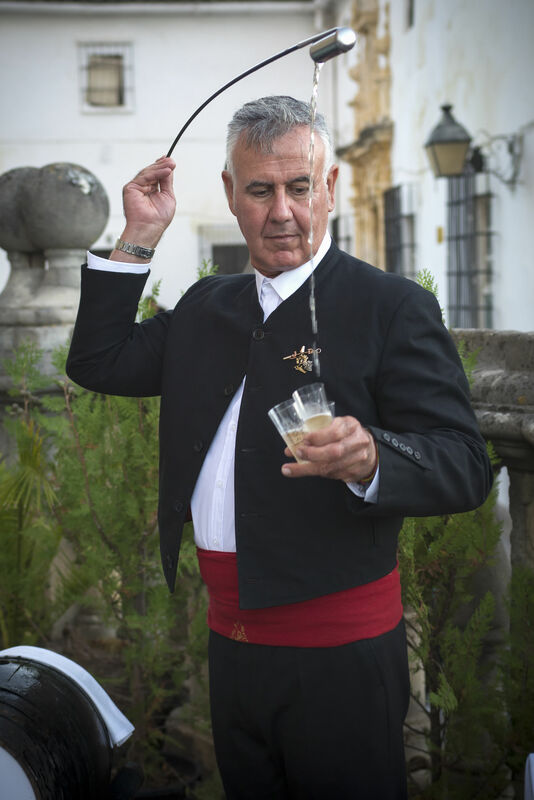 Such as, it is a particularly fine conduit for the Palomino grape, and grows the grapes that will become some of the finest examples of Fino Sherry – and other types of Sherry as well. It is the main soil type found in the Jerez-Xérès-Sherry y Manzanilla de Sanlúcar de Barrameda DO, found in over 90% of the vineyards of the region. This figure used to be much lower, but over the years inferior vineyards were replaced – either by other crops such as sunflowers, or other uses such as the harvesting of solar energy – leaving behind the high quality, albariza-rich vineyards to rule the area. 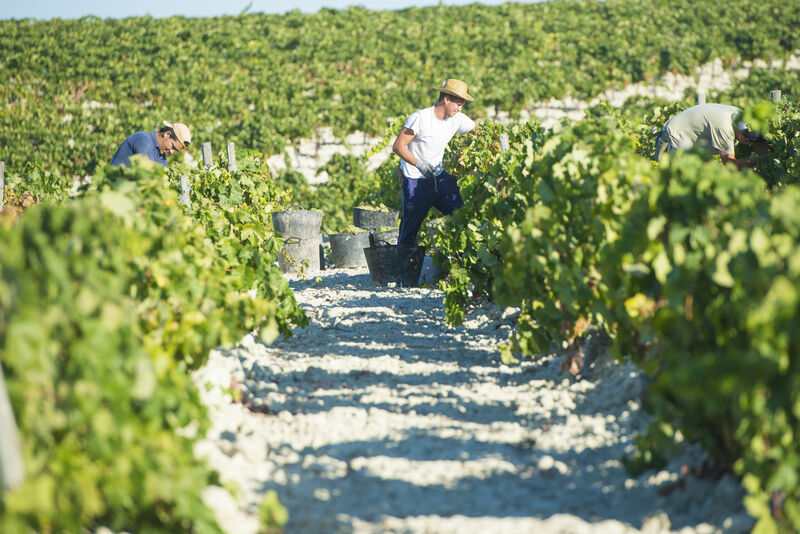 Albariza is a unique soil, made up primarily of limestone rich in calcium carbonate that, according to geologists, is “almost chalk” – but it is still too young to be true chalk. Yet, to us mere mortals, calling it “chalk” is “close enough,” and you’ll find most people – even viticulturists – referring to albariza as a “chalky” soil. Clay and sand (silica) are found in smaller amounts; these components give its somewhat mottled “white-ish” appearance as opposed to pure, bright white. The unique properties of the soil allow it to soak up rainfall – which typically occurs in Jerez in the winter – and absorb it like a sponge. Later, the upper levels of the soil “bake” into something of a hard crust or cap, trapping the water below. Over the long, hot, and dry Jerez summer, the trapped water is slowly released, nourishing the vines and making irrigation unnecessary. The unique white-ish color of the soil also benefits the vines by reflecting sunlight back up to the vines, increasing the rate of photosynthesis. 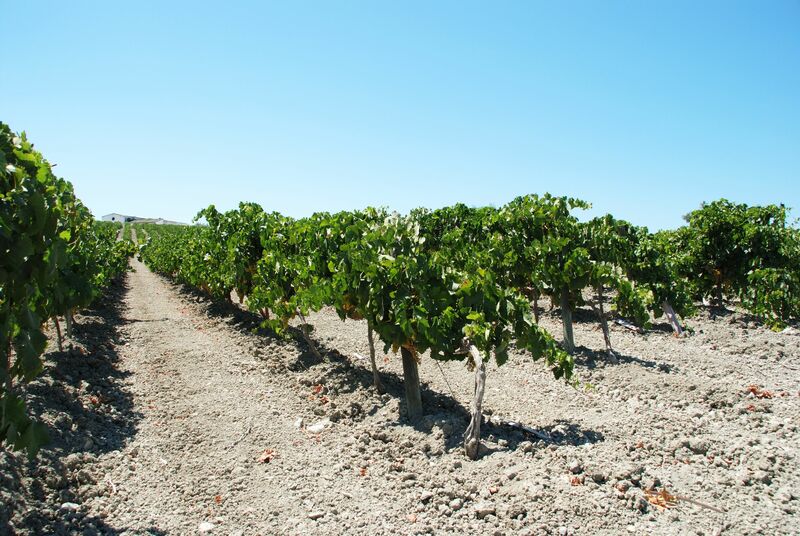 Albariza soils are categorized according to the percentage of calcium carbonate-rich limestone/chalk in the soil. Alabarizone soil is mostly clay but contains about 10% limestone. Tosca soils have about 40% limestone/chalk, while lantejuela contains about 50%. Tajón has the most – up to 80% limestone/chalk, giving it the brightest white appearance. However, tajón soils are not ideal for vineyards, as the soil can become very hard, which can lead to chlorosis (a condition where leaves produce insufficient chlorophyll). The ideal version of the soil for vineyards contains about 25% limestone/chalk at the surface, and 40-60% starting a few feet below the surface. Geologists, of course, have many more subsets and ways of looking at albariza, including the composition of the remainder of the soil components as well as specific minerals and nutrients. The finest albariza soils are characteristically loose and easy to work; in geology speak this is described as being “friable.” This friability allows a vine’s root system to spread far and deep into the ground. Roots as long as 38 feet (12 meters) have been reported in layers of albariza soil which themselves reach a depth of 20 feet (6 meters). To maximize the amount of rain water “captured” in the soil, the soil in albariza soils are often “banked up” to create reservoirs to capture rain. In spring, the soils are leveled out again. Albariza soil can hold up to 34% of its weight in water. Albariza is also found in parts of Penedès, where it produces grapes for exceptional Cava; and in Montilla-Moriles, where the vineyards are mostly planted to the Pedro Ximénez variety.